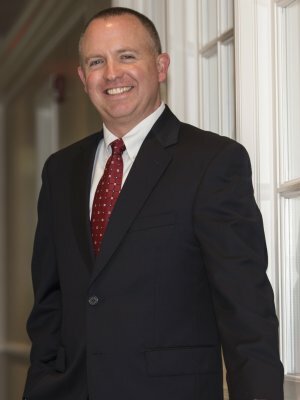 Jason embarked on his career in financial planning services after receiving a BS degree from Cook College at Rutgers University in 1994. 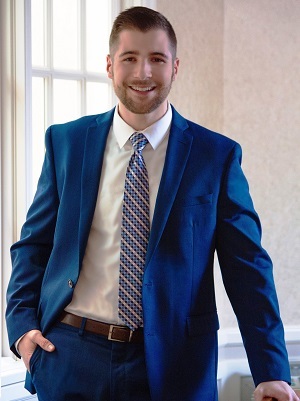 Upon graduation, Jason joined Madison Financial Group (MFG) where he worked as an associate advisor and was rapidly promoted to Director of Client Services after a six month internship. In 1997, Jason obtained his CERTIFIED FINANCIAL PLANNERTM certification and became a partner of MFG in 1998. While with MFG, Jason continued to direct client services while helping to maintain the firm’s clientele. In 2003, Jason co-founded Newroads Financial Group in Clinton, NJ. As President, he oversees the firm’s clients, addresses on-going financial planning concerns and manages the day-to-day operations of the firm. Jason is committed to creating life-long partnerships with his clients, and is responsible for helping them with all the decisions and details that come along with today’s complex financial world. Jason maintains his professional certification with annual continuing education credits and through attendance at various seminars and conferences throughout the country – where he is regularly invited to speak about the firm’s unique approach to comprehensive financial planning. Jason has organized and sponsored a variety of events that enable the firm’s clients to ask questions about relative financial issues and concerns, has been a main platform speaker at the Star Ledger’s annual “Road to Personal Wealth” financial conference, and has also appeared in several web-based videos in an effort to educate clients about current market perspectives and to provide updates on Newroads Financial Group. Jason is a super-passionate Rutgers Alumnus and was elected to the Rutgers Alumni Leaders Council in 2015. He shows his alma mater spirit with regular attendance at RU sporting events (both home and away). He has become an active supporter in all things Rutgers, currently serving as Vice President for the Rutgers Court Club. His involvement with Rutgers athletics helped lead Newroads Financial Group to begin hosting their annual “An Evening with Eric LeGrand” in 2013 in support of finding a cure for Spinal Cord Injury. Jason resides in Clinton Township in Hunterdon County, NJ with his wife, Debbie and their two children, Jenna and Sean. Jason enjoys golf, spending time with his family, and attending his children’s sporting events. In search of providing more detailed and comprehensive written financial plans, Ron joined Newroads Financial Group in July of 2008 following a 13-year stint at Langdon Ford Financial (LFF). Ron had the dual role of advisor and Registered Principal at LFF. Prior to working at LFF, Ron earned his Bachelor of Science degree from the Rutgers University School of Business in 1995. He obtained his CERTIFIED FINANCIAL PLANNER ™ certification in 2003 and continues to maintain that certification with continuing education credits earned annually. Ron is a Qualifying and Life member of the MDRT® and Court of the Table® qualifier. He regularly attends financial services and financial planning seminars and conferences to keep current on the many aspects of comprehensive financial services, including financial planning. Ron and business partner, Jason Newcomb, have appeared in several web-based videos in an effort to educate clients about current market perspectives and to provide updates on Newroads Financial Group. Ron is a highly sought after resource for his opinions and knowledge about the financial world. He frequently appears in The Star Ledger, New Jersey’s largest newspaper, where he has contributed to multiple financial columns and business related news articles dating back to 2001. He has also appeared in The New York Times, The Wall Street Journal, InvestmentNews magazine, Growing Wealth magazine, The Daily Record, The Courier News, Entrepreneur.com, and Eons.com. Ron was a Main Platform speaker at both the 2009 and 2010 “Road To Personal Wealth” financial conferences, held at Rutgers University and Caldwell College, respectively. Ron and Jason are co-founders of “An Evening With Eric LeGrand”. Intended as a one-time event in 2013 to help Eric launch his foundation, Team LeGrand, as part of the Christopher & Dana Reeve Foundation, the event was such a success that it continues as an annual event of inspiration and great fun. All expenses associated with hosting and marketing are funded by Ron and Jason’s Firm, Newroads Financial Group. As a result, 100% of donations raised go directly to finding a cure for spinal cord injuries. To date over $67,000 has been raised from the first two events and it continues to grow each year. Ron is highly involved in supporting his Alma Mater. In 2010 he found a new way to support his second home as a guest lecturer where he teaches a financial planning class 3-4 times a year in the undergraduate School of Management and Labor Relations curriculum. He is also a volunteer for the Rutgers Leadership Academy where he helps student athletes with career education. In 2012 Ron became an inaugural volunteer of the Rutgers School of Business teamUP mentoring program where he continues to mentor 1-2 students each semester through a semester long one-to-one goal setting and educational relationship. Ron, his wife, Jen, and their two children, Devon and Trey, live in Raritan Twp, New Jersey, where they are both very active in their community. Ron enjoys spending time with his family, watching Devon blossom as a young equestrian rider, coaching all of Trey’s sports, an occasional round of golf and following the Rutgers football team wherever they may play including attending each and every bowl game the team has played except The Garden State Bowl in 1978 (Eight in the last 9 years). Ronald J. Garutti Jr., CFP® is a Registered Representative (and Investment Advisor Representative), of Securian Financial Services, Inc. Securities and investment advisory services are offered through Securian Financial Services, Inc., member FINRA/SIPC. Newroads Financial Group is independently owned and operated. Tracking #: 1211638 DOFU: 6/2015. In 2013, Michael added the distinguished CERTIFIED FINANCIAL PLANNER ™ designation to his growing list of certifications and was asked to join Newroads Financial Group as an associate advisor, working directly with Jason R. Newcomb, CFP®. His role quickly expanded to initiating and developing the Foundational Plan program for the next generation of Newroads clients. In 2016, increasing his leadership role within the firm, Michael was promoted to Partner. Michael’s continued commitment to exceptional client service and growth have made him an integral part of the Newroads team. He is a graduate of Boston College with a Bachelor of Science in Business Management with concentrations in Finance and Management & Leadership. He is an active member of the Boston College Alumni Association and the Seton Hall Preparatory School Alumni Association. 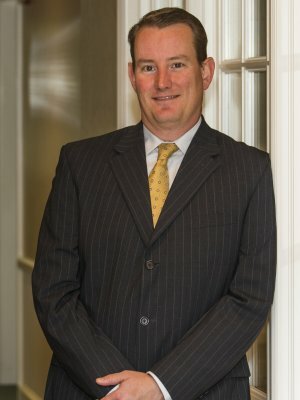 Michael began his career with Langdon Ford Financial in 2010 and has both FINRA Series 7 & 66 registrations along with his Life, Health and Accident Insurance licenses. Michael’s role has allowed him to foster healthy, proactive, long-term client relationships. Michael currently resides in Hoboken, New Jersey, with his wife Suzie, where he enjoys traveling the world, golfing, and spending time with his family. 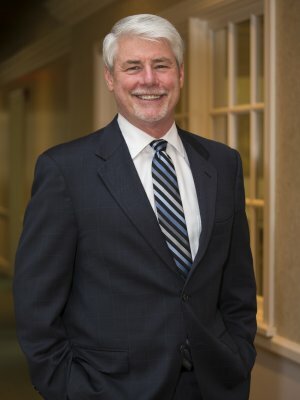 John’s relationship with Newroads Financial Group began when he and his family became clients in 2002. After personally experiencing the comprehensive financial planning process and ongoing advice that helped keep his family on the path toward their goals, he began to consider the opportunity to help others in the same capacity. After enjoying multiple careers spanning more than 35 years in Law Enforcement, Fortune 500 companies, and the non-profit arena, John Rivers has successfully made the transition into financial planning services. 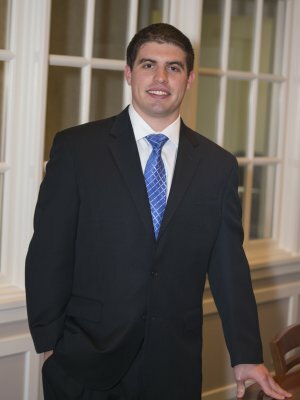 John’s diverse career background, along with his proactive approach to developing financial solutions, uniquely qualifies him to help other individuals and families. He uses his extensive work and life experiences to help clients identify and achieve their financial goals. John has earned his FINRA Series 7 & 66 registrations and holds his Life, Health and Long Term Care insurance licenses in multiple states. In addition to his role as Senior Financial Planner, husband and father, John has served on numerous volunteer boards of community and faith-based organizations in positions, including serving as Board Chairperson and Finance, Fundraising, and Stewardship Committee Chairs. John and his wife Susan, live in Annandale, New Jersey. Their two sons, Matthew and John, are currently living in China and Washington D.C. and in his free time, John enjoys catching up with them, sports, fishing and the New York Yankees. Barry Friedson joined Newroads Financial Group in 2016, after spending over 20 years in the financial industry. 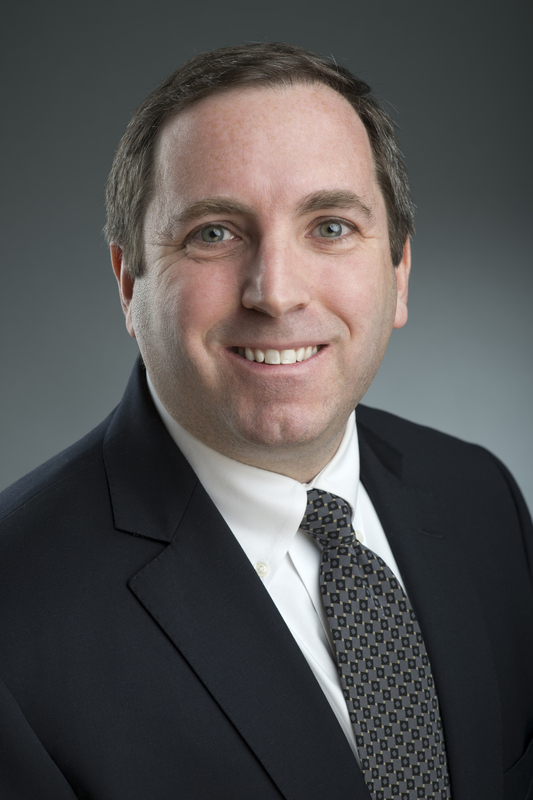 Prior to joining Langdon Ford Financial in 2013 (now Allied Wealth Partners), Barry spent over ten years delivering complex trading and portfolio optimization solutions for portfolio managers and traders at various financial institutions including Alliance Capital, Deutsche Bank and Arden Asset Management, where he was the Chief Technology Officer. Barry combines extensive market knowledge and analytical skills to help clients crystalize future goals and develop a tailored financial blueprint. He understands that every client is unique and as part of the Newroads team, Barry enhances the invaluable relationships between the firm and our clients. Sharing many of Newroads Financial Group’s core values and work philosophies, Barry uses his professional and technical abilities to keep the firm moving forward and create new solutions for our clients to help meet the goals and achieve their dreams. Barry has obtained the CERTIFIED FINANCIAL PLANNER TM designation. He is also a Chartered Financial Analyst. In addition to holding his Series 7 and 66 securities registrations, Barry is a licensed broker of life, health, disability and long-term care insurance. Barry earned his Masters of Business Administration in Finance from the Stern School of Business at New York University as well as duel engineering degrees from the University of Pennsylvania. Barry resides in Scotch Plains with his wife, Denise, their two children. He is involved in many local charitable organizations including Mobile Meals in Westfield, The Valerie Fund, the Leukemia and Lymphoma Society, as well as a family foundation through UJA in New York. Barry is an active member of the Penn and NYU Alumni association. He is an avid runner having completed multiple full and half marathons and a lifelong hockey fan of the NJ Devils. Rob joined Newroads Financial Group as an associate advisor in January of 2015, working directly with Senior Partner Ronald J. Garutti Jr., CFP® to foster healthy, proactive relationships with clients. Rob graduated from Susquehanna University with a Bachelor of Science in Business Administration with an emphasis in Finance and a Bachelors of Arts with an emphasis in Economics. During his studies, Rob volunteered with Up ‘Til Dawn, a program on college campuses devoted to the support of St. Jude Children’s research hospital. Immediately following graduation, Rob earned both FINRA Series 7 & 66 registrations along with his Life, Health, and Accident Insurance licenses. When he’s not working, Rob enjoys aviation and flying. He earned his Private Pilot Certificate in 2011. While working part-time with Heritage Aviation, Rob continued to build his flight time by ferrying aircraft for Heritage and other aircraft owners. In the spring of 2014, he added an Instrument Rating as well as High Performance and Complex Aircraft endorsements to his Private Pilot Certificate. He now flies recreationally to build time for his next certificate. Rob currently resides in Lebanon Township, New Jersey, where he enjoys general aviation, motorcycle trips, hiking with his dogs, and spending time with his family. Karen joined Newroads Financial Group in 2005 after earning an A.A.S. Degree in Paralegal Studies from Raritan Valley Community College. Her first goal was to develop the position of paraprofessional. Since that time, Karen has fostered meaningful client relationships and has become an invaluable member of the firm as both a professional and administrative resource. She has obtained her Registered Paraplanner® designation along with both the Series 7 and 66 securities registrations. Although Karen does not offer tax or legal advice, she has also completed her Federal Income Tax Preparation Training from the National Tax Training School. In 2010, Karen was promoted to the position of Registered Executive Assistant to Newroads President, Jason R. Newcomb, CFP®. In her current position as Client Relations Manager, Karen’s role is to create and maintain our clients’ expectations of an exemplary service process from the first meeting. She works closely with new clients, assisting with plan recommendations and guiding our existing clients through all of their ongoing service needs. Karen continues to help the firm grow efficiently while maintaining the in-depth relationships with Newroads Financial Group’s most valuable asset – our clients. Karen and her three sons, Richard, Matthew, and Jonathan, live in Kingwood, New Jersey. Karen is proud to have two sons in college and another serving in the United States Marine Corps. Jennifer began her professional career in 1988 at the central office of Littman Jewelers in Edison, New Jersey. 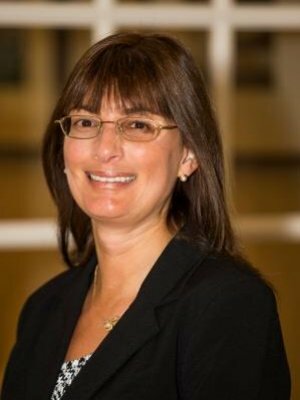 She graduated from the Cittone Institute with a Legal Office Specialist Certificate in 1994 while working in Littman’s accounting area. Soon after obtaining her certificate, Littman Jewelers offered her the position of Administrative Assistant to the Executive Vice President of Operations. For the next six years, Jennifer learned the fundamentals of business operations and provided executive support. In 2000, Jennifer turned her focus to raising her children while continuing to work in various part-time sales and customer service positions. She returned to full time employment in 2009 as an Administrative Assistant at Sun National Bank. 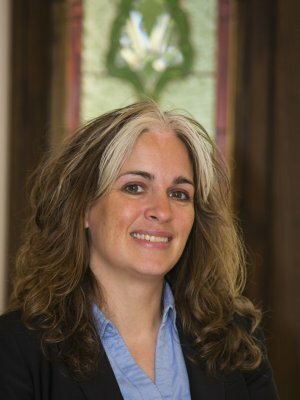 Newroads Financial Group was excited to welcome Jennifer as an additional team member in May 2011. She currently provides service to the extensive needs of our clients while using her business operation skills to continuously improve the firm’s administration. Jennifer, her husband Al, and their two children, Tyler and Shane, reside in Franklin Township in Hunterdon County, NJ, where they are very involved in lacrosse, Boy Scouts and youth group. Erin began her banking career with PNC Bank as a financial sales consultant and ultimately moved forward to Chase Bank as a personal banker. She worked with many small businesses, helping owners develop and strengthen their businesses. She also built many personal banking relationships with clients and truly enjoyed her work in the financial services field. After stepping away from her banking services career, she turned her attention to raising her family. In 2015 she began another career managing a dynamic family and their busy household. While organizing travel schedules, household management and daily activities, she also focused on educating the family’s children. During this time, Erin also taught music classes to families with young children. In 2019, she joined the Newroads Team as Executive Assistant to Ronald J. Garutti, Jr., CFP®. Erin meets the extensive needs of our team and our clients while continuously looking for ways to improve the firm’s administration procedures. Erin is often the first face you see as she happily greets you upon arrival at Newroads. She enthusiastically contributes to the team and is dedicated to providing excellent client service to all our Newroads Financial Group partners. Erin and her daughter, Lorena, live in Milford, New Jersey. She spends her free time performing in community theatre and entertaining for children’s events. Erin and her family enjoy their time together, hiking, traveling, and supporting the arts.